The home-grown automaker, Tata Motors, became the foremost Indian auto manufacturer to clock a milestone of over 1 million unit sales in a calendar year. According to a report, the car maker retailed 1.049 million vehicles across the globe in the year 2018 in comparison to 0.986 million units sold in 2017. This sale figures comprises of light vehicles, both passenger and commercial, including cars, utility vehicles and small pick-ups up to 3.5 tonnes. In terms of volume, Tata Motors is the 16th largest car maker and the third fastest growing car brand worldwide. Tata Cars Including Tiago, Tigor, Hexa and Harrier To Become Expensive, Price Increase Upto Rs 25,000 From April 2019. Tata Motors - CEO and Managing Director, Guenter Butschek said, "We are delighted to have crossed the milestone of one million units of light vehicles for the first time. It is a testament to the strong connect we have established with our customers globally by offering exciting products and great value propositions across our extensive range of vehicles. We continue to focus on filling white spaces in our portfolio, aim to be amongst the technological leaders in the auto world and endeavour to provide aspirational products to our customers that are designed immaculately around their evolving needs. While doing so, we remain steadfast in our turnaround journey by focusing on brilliant sales activation, rigorous cost reductions and strong cash flow generation." As the fact that the company retails light vehicles on the global front, around 99 percent of its sales is generated from the domestic market. In the last few years, the homegrown automaker has shown consistent growth with its new range of product. Moreover, Tata's British Brand - Jaguar-Land Rover have been struggling to clock positive volume because of the rising rivalry and heavy competition in the premium car space. Moreover, the uncertain political situation of BREXIT too has play a critical role in JLR's sale struggle. 2019 Geneva Motor Show: Tata Altroz, Altroz EV, Buzzard & H2X Concept Showcased At Annual Auto Show. This success of Tata Motors can be fully attributed to the new range of passenger vehicles such as Nexon, Tiago, Hexa and new Harrier SUV. Tata's new portfolio in the passenger space has also transformed its image by providing products with better quality, premium appeal, new-age design, competitive pricing and much more. 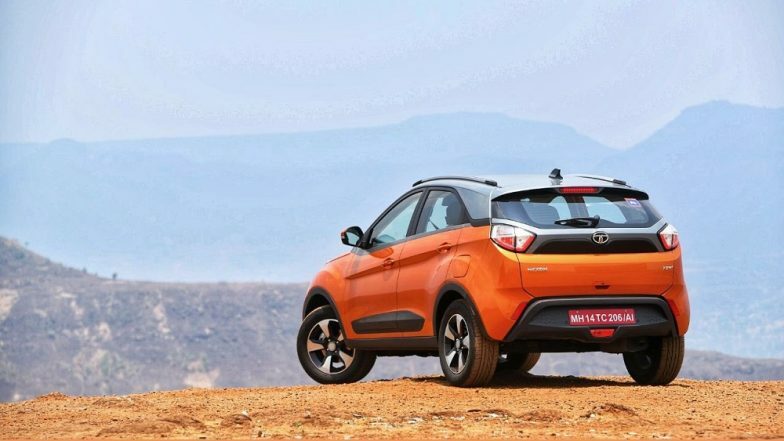 Tata Motors will be looking to keep the momentum going in the future with its forthcoming products like Altroz hatch and Cassini SUV that are expected to be launched later this year.